Bangkok, Thailand, 24 May 2018 – Mövenpick Hotels & Resorts is inviting its guests around the globe to join its efforts to mark World Environment Day on June 5. From beach clean ups and tree planting to fun recycling projects and organic gardening, the hospitality firm’s hotel teams across the globe are embracing the United Nations initiative with a raft of events. • Mövenpick Hotel Karachi will invite guests to plant trees and stage a special tree-planting ceremony in its garden. • Mövenpick Hotel Sukhumvit 15 Bangkok will offer all house guests small paddy seed pockets (Thai rice). Guests will be invited to plant the seeds in the hotel’s rooftop lounge. 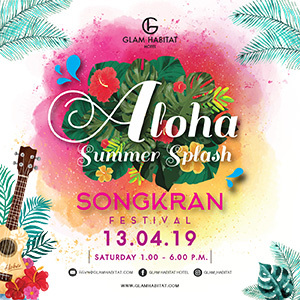 • Mövenpick Suringwose Hotel Chiang Mai will stage a ‘Mr and Miss Tree’ fundraising fashipn parade with clothing made from leaves, flowers and recycled items. The hotel will take the opportunity to raise awareness of the harmful impact of plastic pollution – the World Environment Day’s 2018 theme.